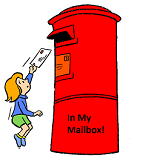 In My Mailbox #7 – It's Time to Read! This is a weekly meme hosted by The Story Siren. Not as many as last week, but still great 🙂 What did you get? Do leave a comment! I have heard such good things about The Sky is Everywhere! And, Sarah Dessen is always a fun read. Enjoy your week! I’m currently reading The Iron King and really liking it. Enjoy your new reads! You got a nice variety of books this week. I really liked The Iron King. The Sergeant’s Lady has a great cover. My mailboxes are at Inside of a Dog and Ms. Martin Teaches Media. Happy reading! Oh! Great library finds! And I loved The Iron King! Hope you enjoy! thanks for hoping by my IMM!!! I just reviewed Just Listen by Sarah Dessen and loved it so much! I’m sure you’ll love Last Chance and That Summer! I am jealous of The Sky is Everywhere!! !